In the competitive environment of BJJ it very easy to fall into a trap of comparisons. Something that was brought to my attention again recently via someones social media post is the phenomenon of Jiu Jitsu maths. I’ll be honest being the subject of someone’s jiu jitsu maths really brought it home to me how silly and time wasting it was but also making it an obvious blog topic. So what is BJJ Maths? Well, the most common and simple thought process is “I can beat X, and X can beat Y, therefore I should be able to beat Y.” Although some people take it to the next level and not just calculate who they should and could beat but also potential medals or titles I’ve beaten X and they’ve won A so if I’d entered I would have won at A or better so I’m virtually the A medalist! Now simply by reading this far, most people will realise that there are some flaws in the logic as it misses out a whole range of variables. Styles can make or break matches. Two top game players who are hesitant on takedowns or don’t want to pull guard can make for boring stand up events. Similar we’ve all seen the internet memes about double guard pullers! Styles can make the most amazing technical matches or really horrible ones. 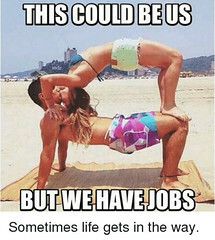 Often in the latter, it’s about who takes the chance first and who it pays off for! Your Strategy can play a role – especially in the later rounds of a tournament when your “A game” has been on display. Sometimes it’s not about being better at BJJ just about being better than your opponent’s plan. This might be pulling guard quickly as you know someone’s an accomplished judoka or it may be deliberately working the leg grabs as you know they’ll pull guard and gain a “bonus” 2 points. Also, let’s be honest once individuals are up on points “stalling” is all part of the competition game so finding yourself stuck in the closed guard or similar isn’t unusual. Yes, it’s a great competition strategy but not the most effective measurement of someone’s BJJ ability. Randomness and chance also play a role in jiu jitsu matches. According to a rather smart mathematician, there are more possible outcomes to a game of chess than there are known atoms in the universe. 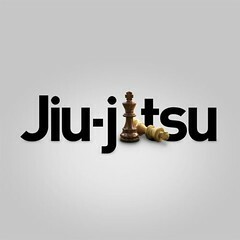 So if you buy into the analogy of BJJ as human chess then, in theory, a given match can go about a host of different ways – at least when the 2 individuals are close in size and ability.This brings an element of chance and in theory meaning nobody is totally unbeatable which I have to say I think add to the spectator side and excitement of the sport. Tournaments can be made or broken for an athlete on the luck of a draw. There is very little seeding in BJJ tournaments, especially below black belt. There is every chance you could be the best two athletes in the competition but end up fighting in the first round result in one of you going home empty-handed. The eventual winners of major medals are a result of a mixture of things including a little bit of luck in the draw. That’s before you add in tournament nerves and how individuals deal with those and the other things such as making weight, hanging around, gi checks etc. Linked to tournaments competitions have different meanings for different people depending on their planning and goals. Of course, people don’t enter competitions to lose but often they are part of a big picture and they may have entered to see where things are at or to test parts of their game. Whilst at the same competition their opponent may view this as a specific focal point they’ve been training for. A win’s a win but it doesn’t mean that it’s necessarily repeatable if both parties were really chasing the same goal. Finally, life can play a huge role in how matches turned out. Someone may be dealing with an injury and competing through it especially if it’s a high-level match. They might have caring responsibilities that are taking a mental toll or had a rubbish week at work. Or simply they’ve been in a rubbish hotel room the night be before dealing with fire alarms and drunk people. All of those things have affected me in competition and whilst they’re certainly not excuse the reality is they are a variable you have to deal with and can affect the outcomes of a match. Don’t get me wrong it’s amazing when you beat someone that on paper had the capability to squish and submit you. There is nothing wrong with taking pride in that moment. However, it always worth remembering that competitions are just a “snapshot” and until black belt their ones that means very little in the longer term. 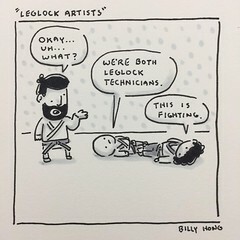 Humans all have egos so of course, it’s only natural for them to raise their head occasionally in BJJ but I find a roll with a few of your gym’s killers, higher belts, and fabulous competitors post competition usually squishes that out of you lol! Got a tournment coming up in 5 and half weeks. Really trying to figure out my strategy. Try and keep it simple – what do you want to do at the start (takedown / guard pull), what position and what sub. Everything else is fluid and about getting back to that plan. Good luck and impose your game!